866 Yates Street was originally built in 1927 as the Jones Brothers Service Station and was operated as a gas station and garage, under various names, until the 1970’s, when it was converted to a restaurant. It was used as a restaurant until December 2018, when the building owner announced plans to “re-purpose” the building. 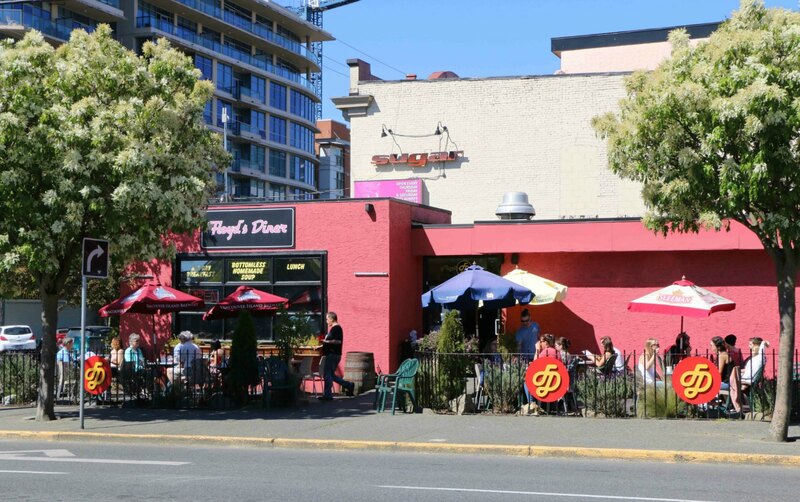 Floyd’s Diner, 866 Yates Street. The building was originally built in 1927 for the Jones Brothers Service Station. 866 Yates Street was originally built in 1927 as a gas station called the Jones Brothers Service Station. The original building permit, issued by the City of Victoria in June 1927, shows an estimated construction cost of $4,500. Until the 1970’s, this building a gas station and garage, operated by several different owners and under various names, including Jones Brothers Service Station, Horwood Brothers Service Station, R.H. Francis and Morgan & Tucker. In the 1970’s the building was converted to a restaurant and has been occupied by restaurants ever since. 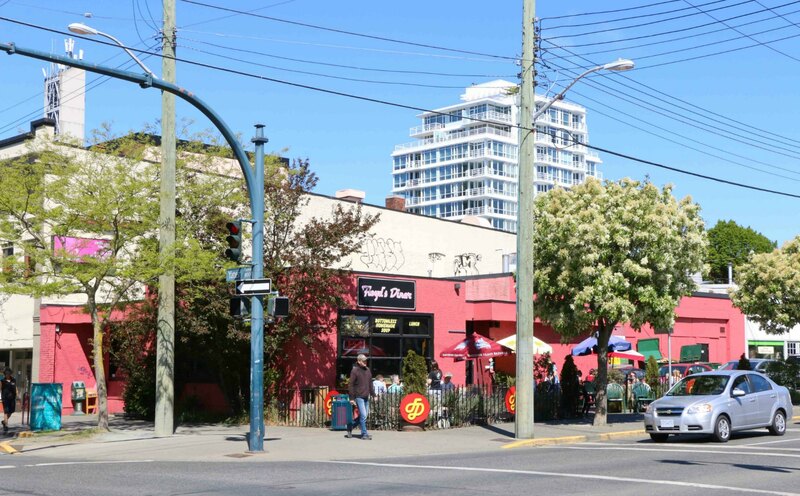 Until recently it had been occupied for several years by Floyd’s Diner but Floyd’s Diner has moved to James Bay because the owner of 866 Yates Street wants to “re-purpose” this building, which is likely code for a plan to demolish this building and replace it with a new building.